StarWarsCelebration.com announced several new guests for Chicago, including actors from The Clone Wars, Rebels, Resistance, and the theatrical movies. Peter Mayhew headlines the group that also includes Temuera Morrison and Michael Pennington from the Saga movies. 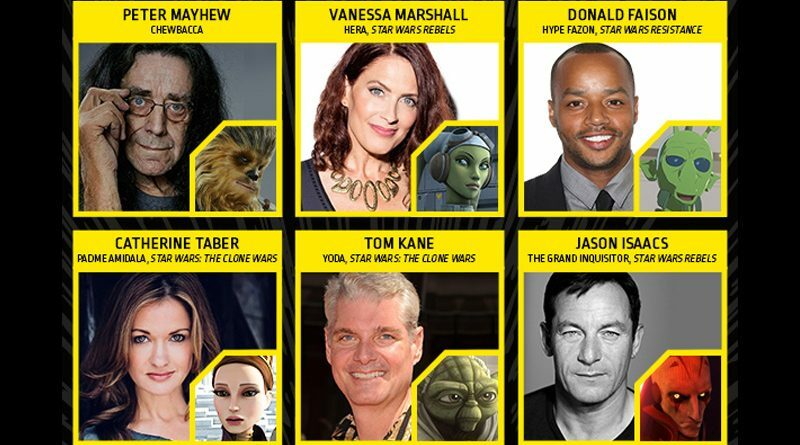 Vanessa Marshall and Jason Isaacs will represent Rebels, while Catherine Taber, Tom Kane , and Dee Bradley Baker help celebrate the upcoming return of The Clone Wars. New to Celebration are Resistance actors Donald Faison and Myrna Velasco who voice Hype Fazon and Torra Doza respectively. Star Wars Celebration Chicago starts on April 11th. A full list of announce guests and hosts can be found on StarWarsCelebration.com.